Well, on a ruTorernt checking your remaining disc space is quite easy. Below two Infographics would make it very easy for you to understand how to check the remaining HDD space on your seedbox. Step 1. 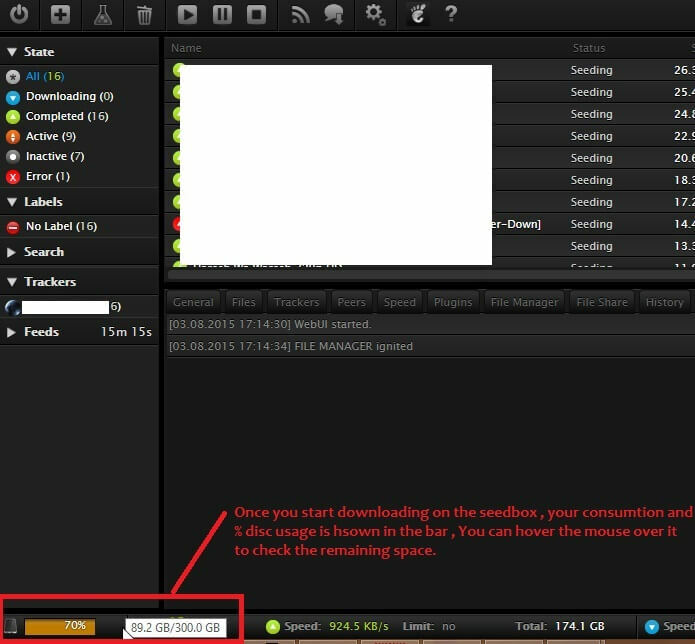 On a new Seedbox with no data loaded you can check your disc space by the following method. Step 2. Once you start downloading and you want to find the remaining disc space, you can check your remaining space real time as shown in the example below. If you still have questions, put down in comments or contact us in chat.